Road biking can seem intimidating, with the spandex shorts and the skinny tires and the really long races. But in Bend, there are a lot of cyclists who want to watch other people get out there on those skinny tires. 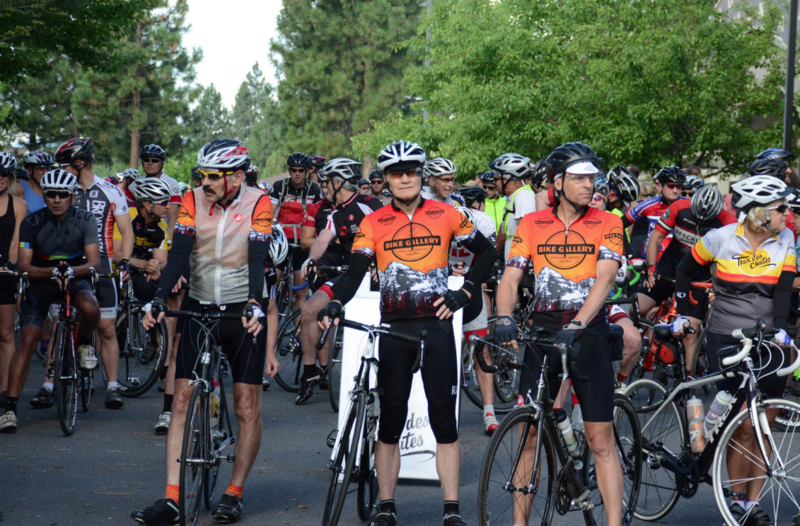 If you've been contemplating wiggling into some spandex and hitting the road to challenge yourself—but also support a good cause, Tour des Chutes is your opportunity this week. "There's something for everyone," explained Anne Linton, a member of Team Sunnyside and one of the safety riders for the Tour des Chutes. "It's for a great cause, it's a great community activity and it's a lot of fun." Tour des Chutes is a ride for cancer survivorship. All the proceeds go to St. Charles' Cancer Center survivorship programs and Pediatric Foundation, a nonprofit that supports families who have a child with cancer. In the past, Tour des Chutes has raised more than $900,000 for cancer programs. 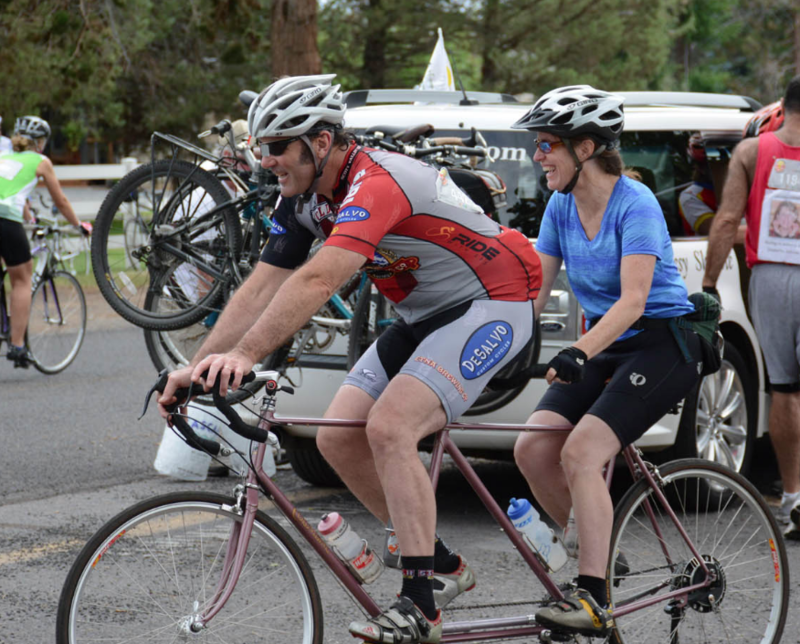 Cyclists of all ages and abilities live in Bend, and everyone will find a ride for their ability level, whether they're a kid who recently mastered a two-wheel bike or a seasoned century rider, riders can choose anything from 7-mile to 100-mile rides, and even a 5k run. Gary Bonacker, a co-owner of Sunnyside Sports and a brain cancer survivor, started the ride after seeing how cancer affected people in the long term—beyond the symptoms of the disease. "When cancer is diagnosed early it is being managed more as a chronic disease. Because of this we need more support and education for these cancer survivors," Bonacker explained on the Tour des Chutes website. "Over 40 percent of cancer patients suffer from depression and over 50 percent have other health challenges associated with the cancer." In the early years of Tour des Chutes, organizers divided the earnings between the LiveStrong Foundation and the St. Charles Cancer Center, but starting in 2013 all of the proceeds were kept local. The ride is open to everyone, but cancer survivors get a special finish chute and are given a rose at the end of the race, said Linton. All riders are encouraged to write names of people they know who have or had cancer on their race bibs. "Tour des Chutes has a different meaning for the riders," Bonacker said. "It is more than just another cycling event. The ride gives you time to reflect on where you are in life, the full meaning of being a part of this world and time to reflect on the people you love. People love to stay after the ride for hours, talking with friends, meeting new friends and just enjoying the moment." If you're considering doing one of the longer rides, Linton says the Tour des Chutes is a great option because it's relatively flat, and it's well aided with stops, safety riders to help out participants, and cars donated by Robberson Ford to get around the course. "I'd been doing a lot of road riding and wanted to test my legs and endurance on the 50-mile route," rider Janice Hughes said. "The best part was the scenery, but the event volunteers at the rest stops and the camaraderie among the riders made it really special."